2014년 지구중심 축, 한반도 “아마겟돈 블랙홀 시대” 진입. Central axis of the Earth in 2014, the Korean Peninsula, "the black hole era of Armageddon" entry. SEAgod Telecom "SAM Research Institute"
세계 각국, 해양재난 모니터링 시스템 도입. (LRIT)센터 총괄본부 한국유치”에 관한 협조요청. 5GHz frequency band, SEAgod marine disaster prevention system_around the world, marine disaster monitoring system is introduced. 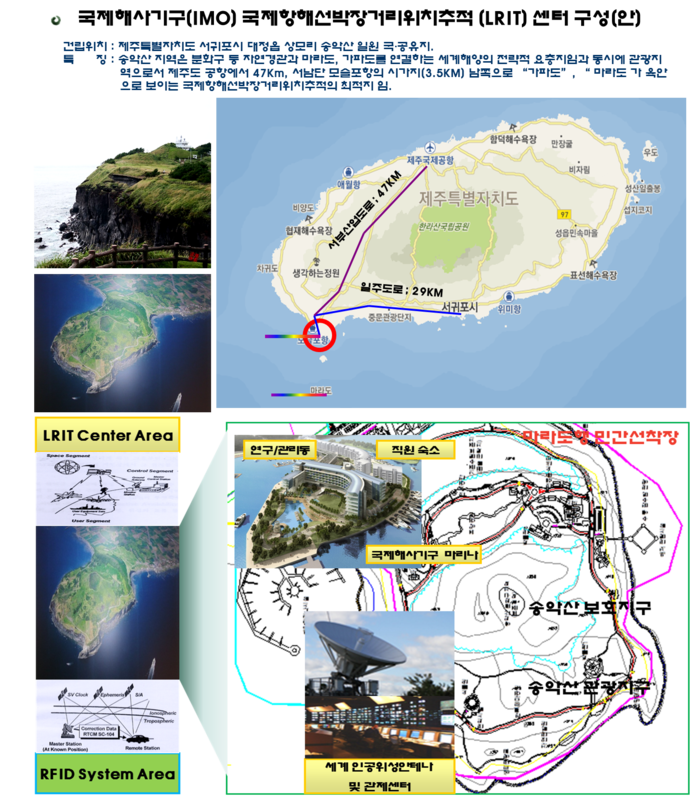 Jeju Mara_"United Nations International Maritime Organization (IMO) international sailing ships position tracking (LRIT) center to attract Headquarters Korea" in cooperation request. South Korea measures provide challenges.